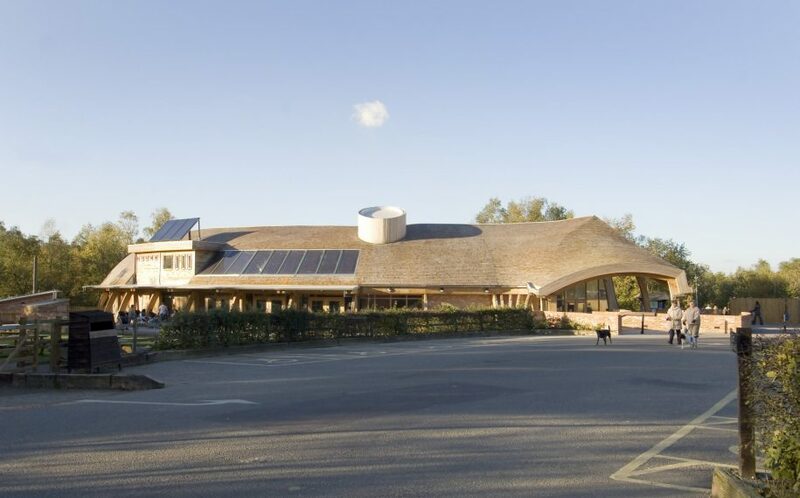 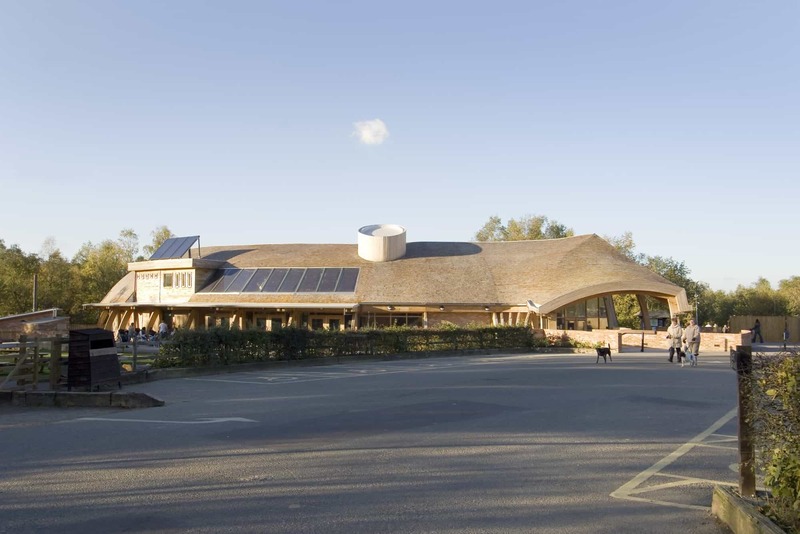 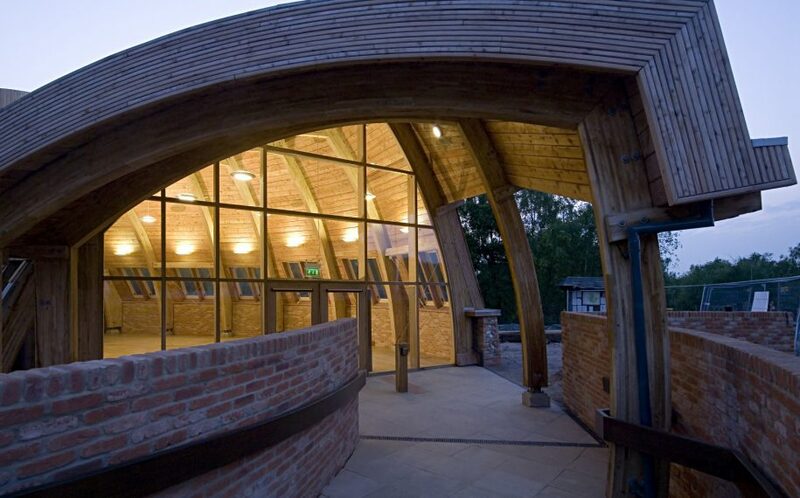 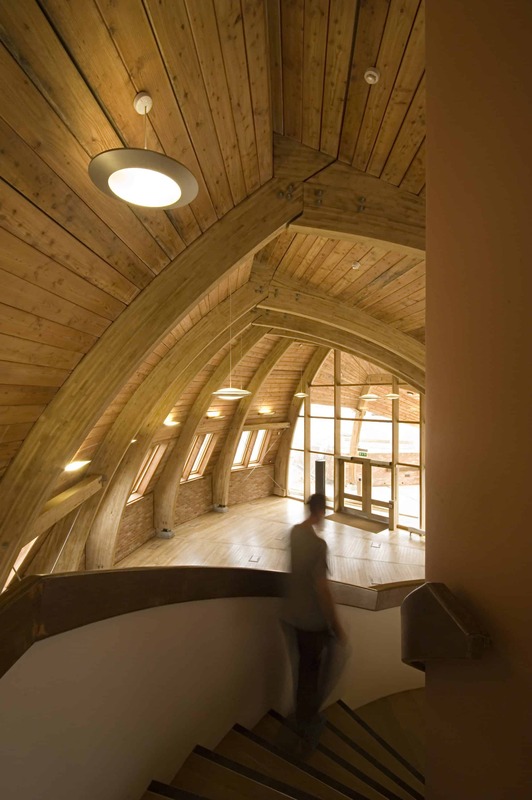 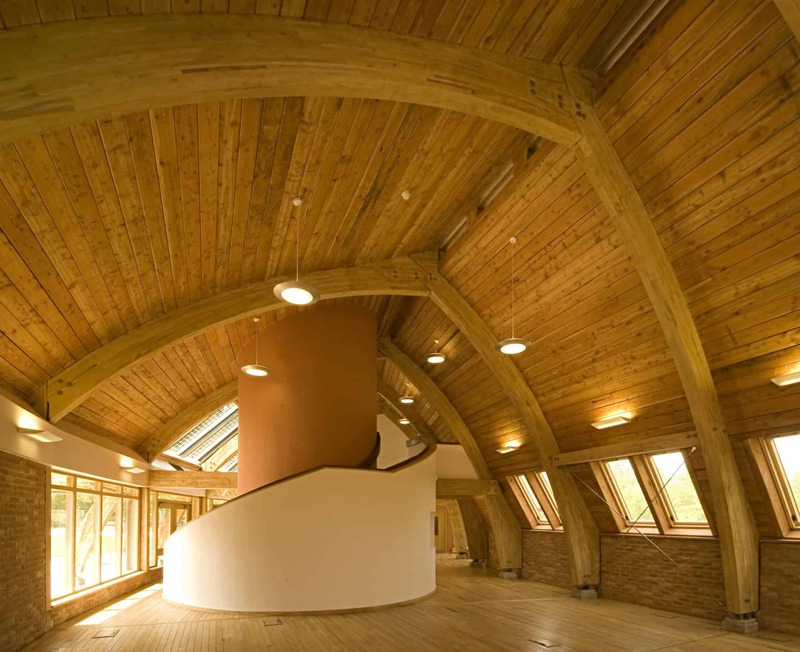 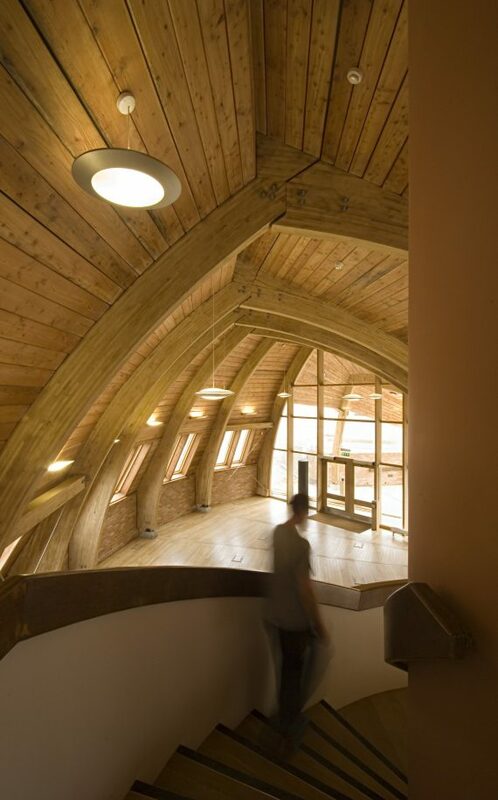 Designed as an example of best practice for sustainable architecture and demonstrating renewable technologies, this building offers exhibition, educational and conference facilities, as well as a café and a sensory garden. 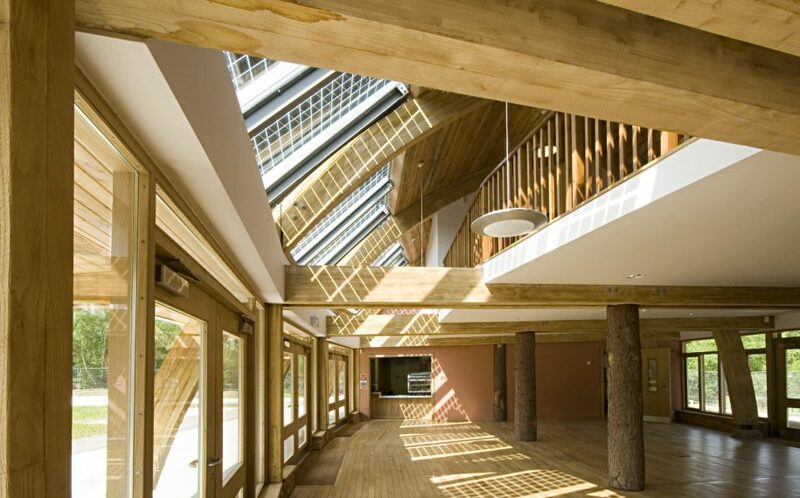 A viewing deck provides panoramic views of the ancient woodland, meadows and wetland. 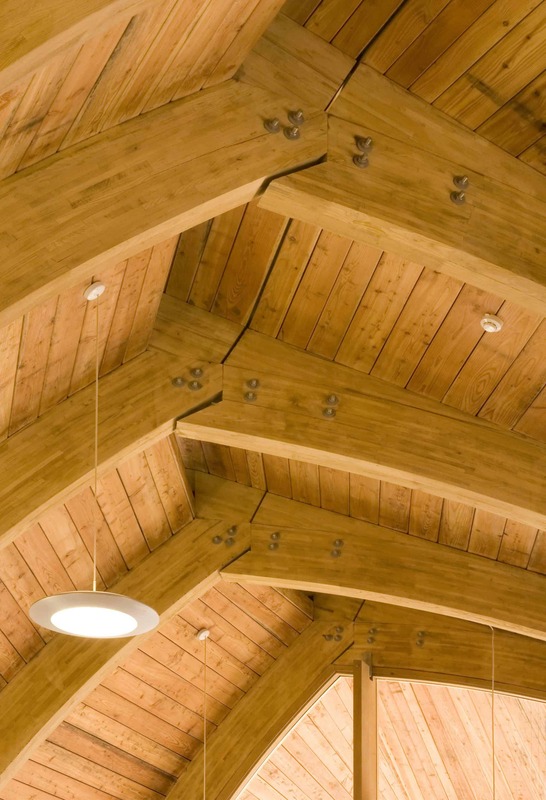 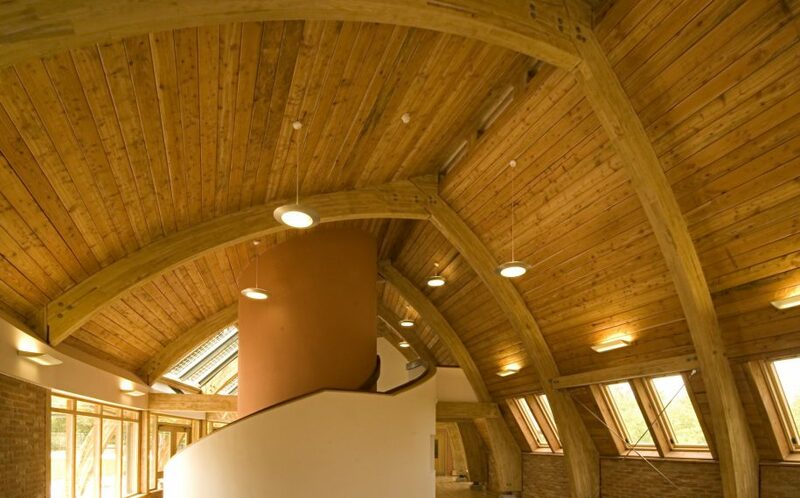 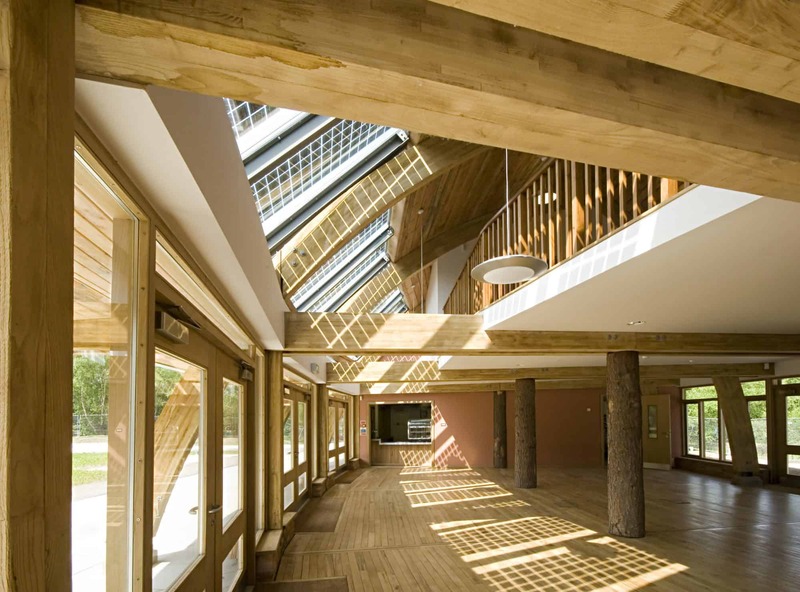 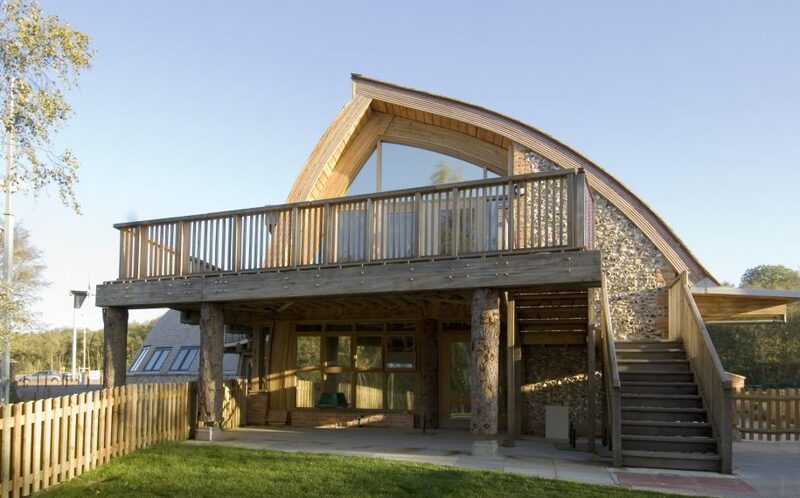 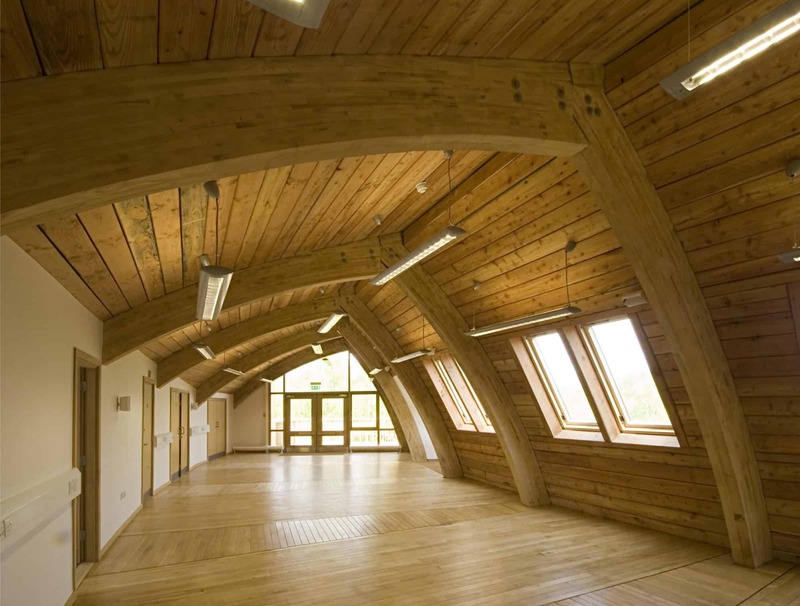 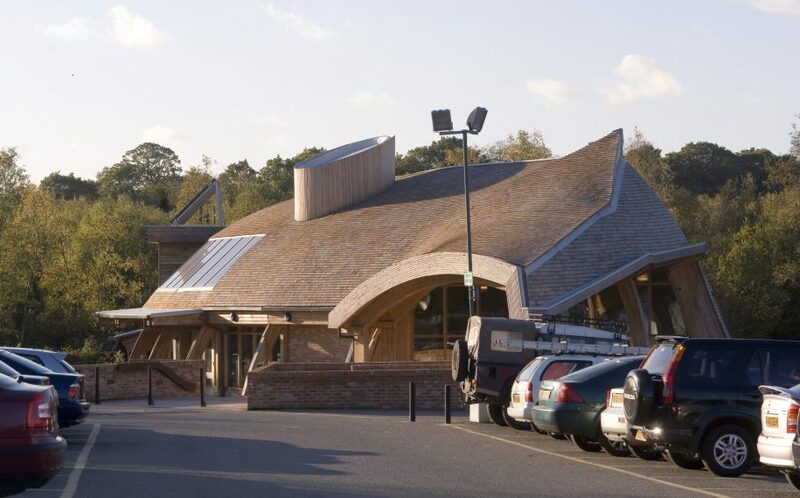 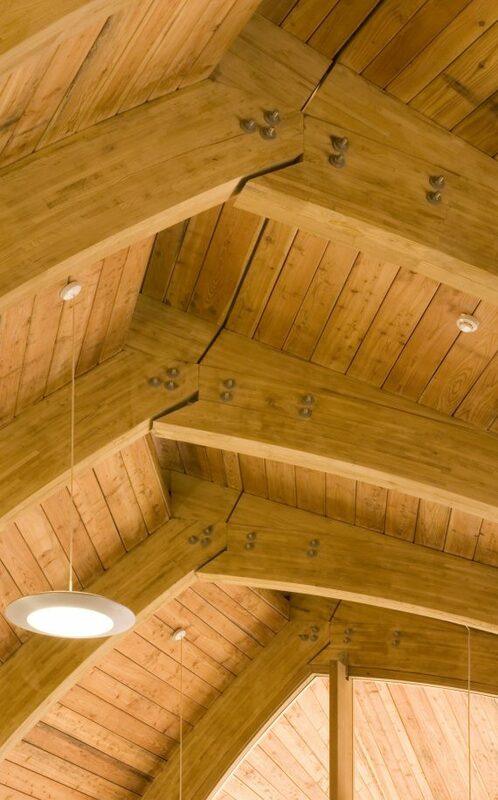 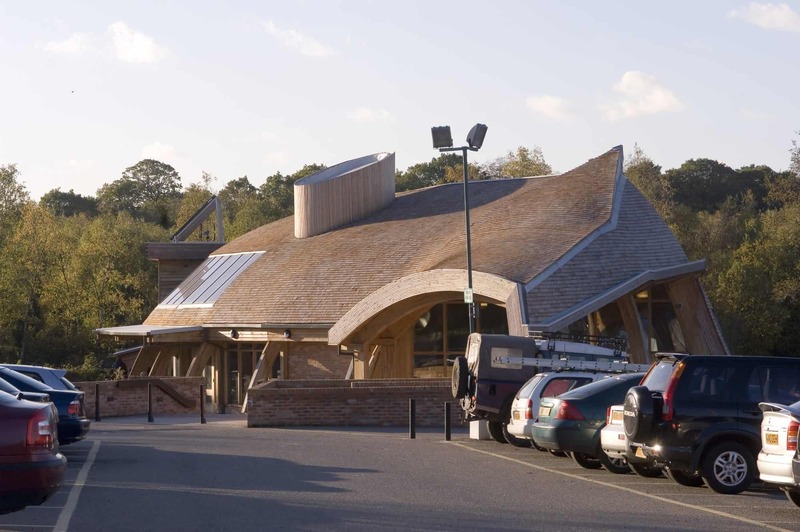 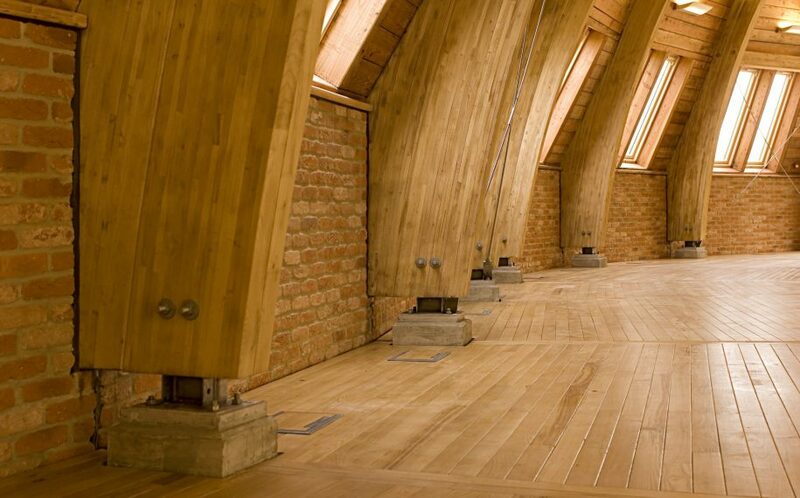 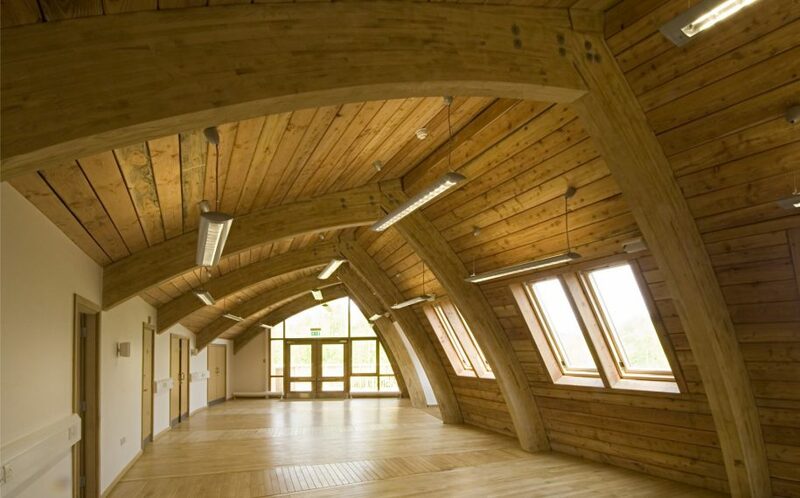 The design, a modern twist on a traditional Kentish barn cruck frame, is reminiscent of an upturned boat creates a form that inspires and demonstrates innovative building materials and techniques. 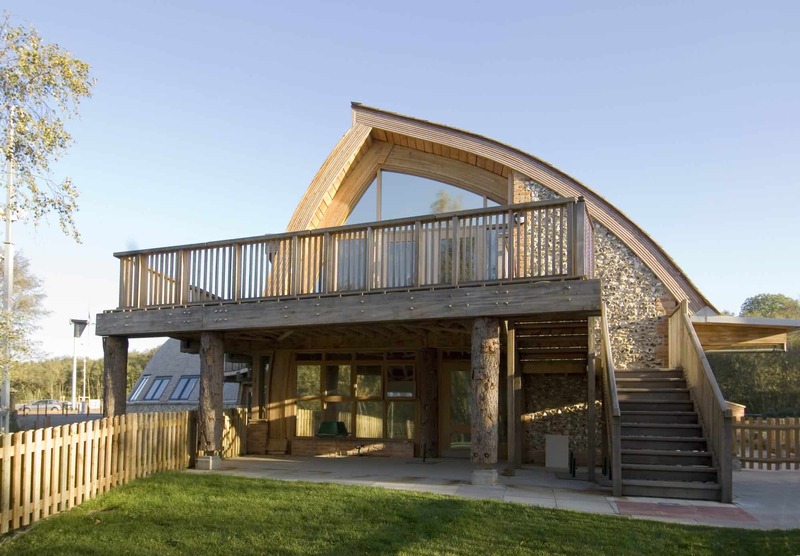 Materials were sustainably sourced; local sweet chestnut coppice for the innovative glulaminated structural frame, oak detailing derives from the client’s sites, handpicked field flint from the south east of England have been used in the walls, and paving is laid on recycled crushed glass. 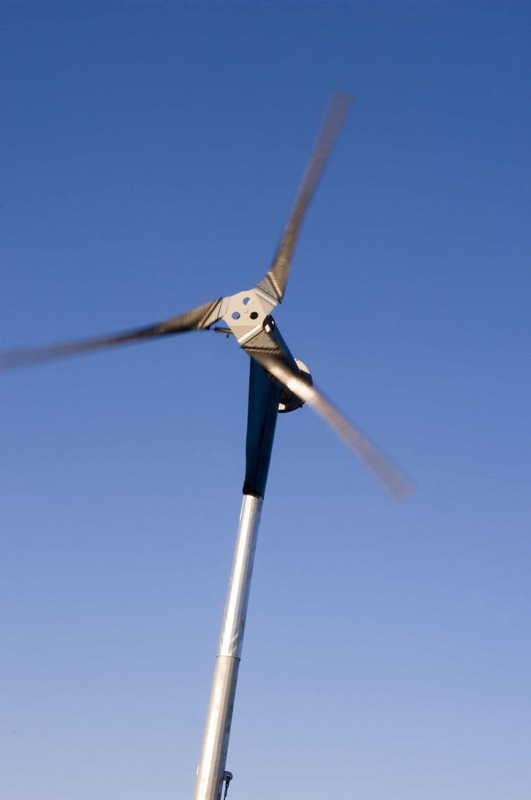 Green technologies help reduce carbon dioxide emissions by nearly ten tonnes per annum. A wind turbine provides 50% of the electrical requirement, supplemented by photovoltaic panels. 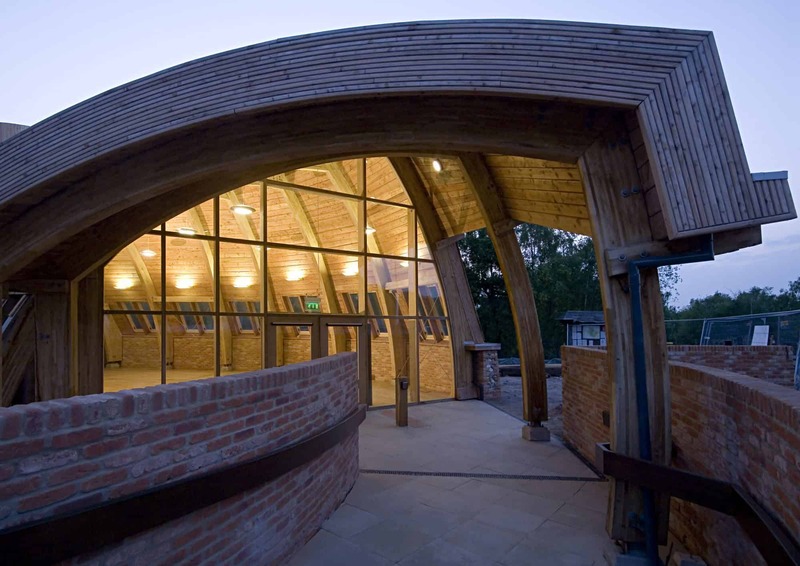 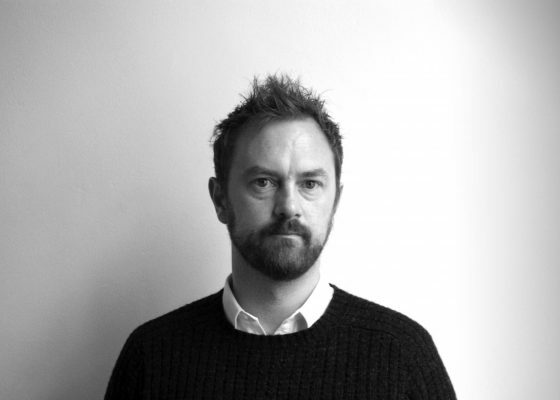 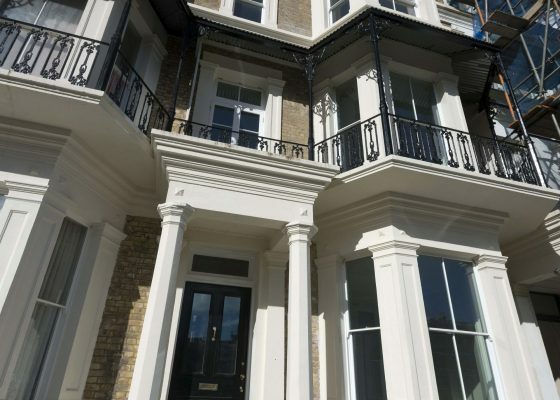 Rainwater harvesting and a biomass heating system add to the green credentials.